Your PlayStation Trophies are now worth virtual Sony bucks, hooray money! 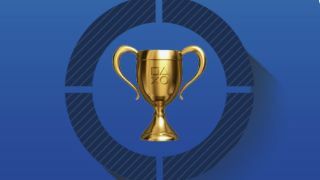 PlayStation nation, your Trophies are about to become a lot more than simple bragging rights - an update to the Sony Rewards program means you can now amass points just for earning the PlayStation version of Achievements. Those points can in turn become PSN credit vouchers, allowing you to purchase games, DLC, TV shows, and movies. Basically, you can get games by playing games. You will have to play a lot, though. Sony breaks it down thusly: 100 Silver Trophies will net you 100 Sony Rewards points, 25 Gold Trophies will earn you 250 points, and 10 Platinum Trophies get you 1,000 points. If you want to turn those points into PSN vouchers, it'll cost you 1,000 points to get $10 worth of credit. So, if you want to earn enough points to purchase a brand new game valued at $60, you're going to have to put in some serious legwork. Thankfully, there are plenty of other ways to get points. You can read about them and sign up for the program on the official site. There are some downsides and stipulations to keep in mind: first of all, the offer is only available in the United States. Second, any Trophies earned prior to their inclusion in the Sony Rewards program won't count toward your total. Points are also earned on a calendar year basis, so you've only got this month and December to add points derived from Trophy acquisition to your 2017 total. This also means points expire, and can only be redeemed within the year they were earned or until March 31 the following year. For more rules and clarifications, check out the Sony Rewards FAQ.